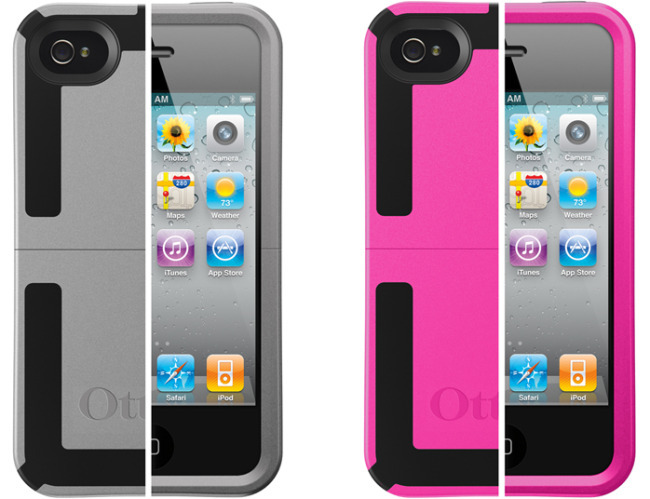 OtterBox recently debuted their new Reflex series of cases for the iPhone 4 and BlackBerry Curve 8500 and 9300 in pink and gray colors. The Reflex case is made up from a hard polycarbonate molded with TPE rubber and surrounds your device with a cushion of air inspired by a car's bumper for some serious drop protection. The Reflex case flexes upon impact and rebounds to it's original form. The Reflex case series is dockable as well and comes apart in two pieces. Both the iPhone 4 and BlackBerry offerings are priced at $44.95 and will be available soon.